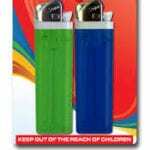 “Scripto Views” lighter is available at WalMart. Visit http://www.walmart.com to find a store near you. 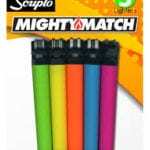 “Mighty Match” and “Essential Everyday lighter” are available at Albertsons grocery stores. Visit http://www.albertsons.com to find the store nearest you. 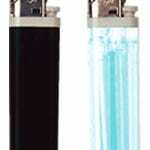 “Vintage Electronic Lighters” are available at Rite Aid. Visit https://www.riteaid.com to find the store nearest you. 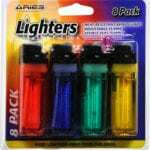 Aries Lighter is available at Walgreens. Visit www.walgreens.com to find the Walgreens nearest you. 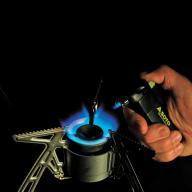 If unable to find a disposable lighter, please contact SOTO at sotousainc@gmail.com to obtain a disposable, refillable lighter for the pocket torch.